Though we walked around for hours, we never overlapped the area we had previously covered – there is so much to see! 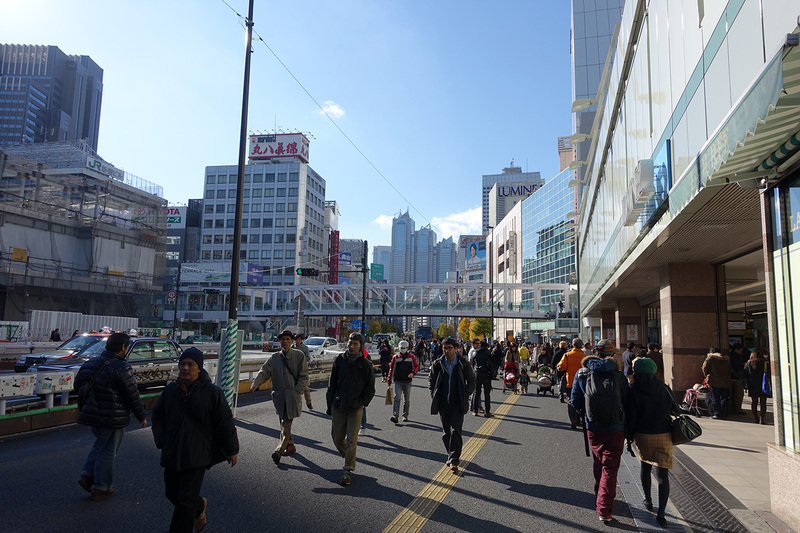 We made left the main boulevard and headed down some smaller side streets to get to an electronics shopping district. Like elsewhere in Japan, all manner of shops are piled together next to each other and on top of each other and I find it difficult at times to sort through all of the colors and lights to find the sign I’m looking for. 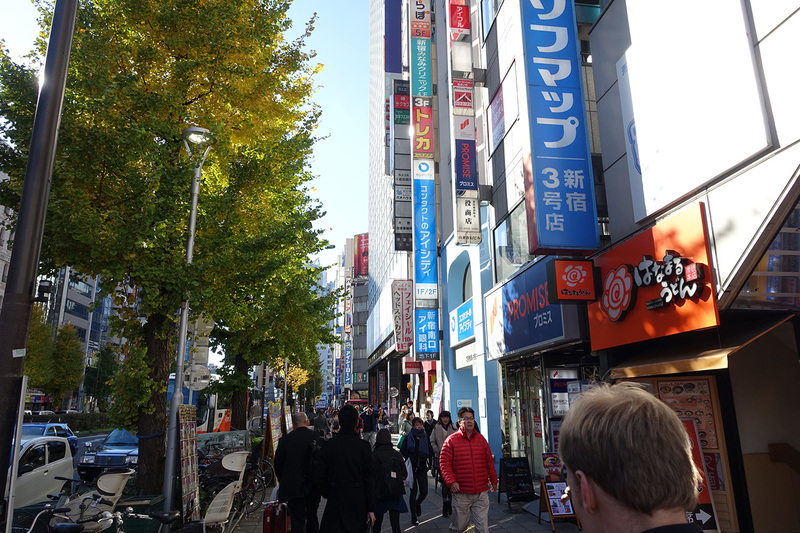 Our mission here, aside from looking around and browsing the shops, was to visit electronics stores. One of my companions had done his research the previous evening and was on a mission to find some good deals that take advantage of the current exchange rate. 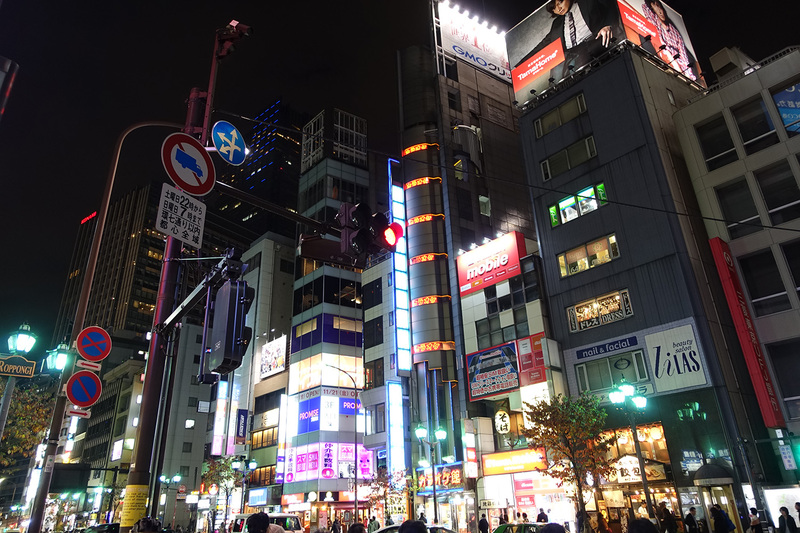 Thanks to Google Maps, we finally came upon our main target: Yodobashi Camera. 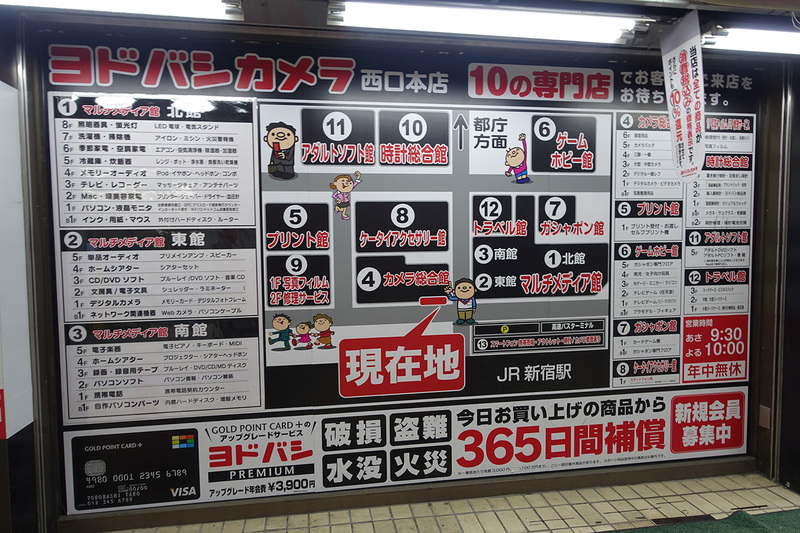 I should say stores, since Yodobashi is spread across units on several blocks. This handy map helped. We started off in store #1, which had all of the main audio and video equipment. My friend purchased a pair of Denon headphones there that normally retail for US$1K but was able to get them brand new for under US$600. Other items were comparably priced and in some cases the prices were a bit higher than in the US. 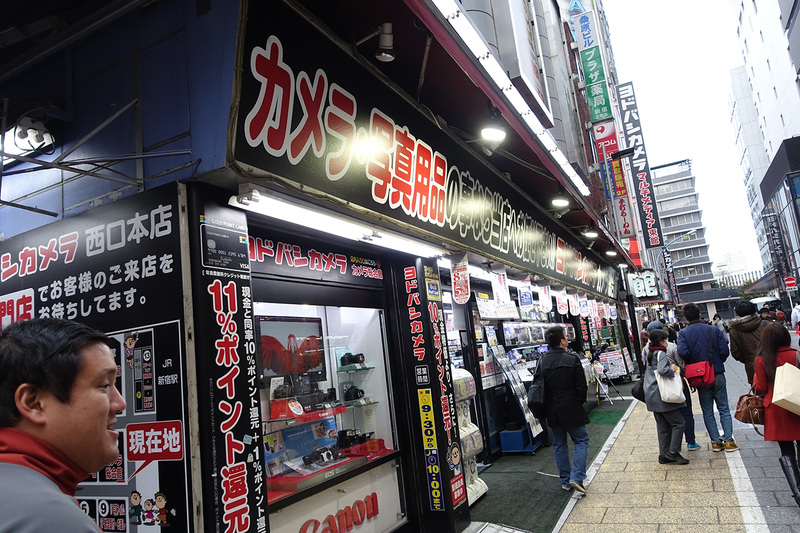 I wanted to purchase the Dengeki Bunko Fighting Climax Playstation 3 game I found on day 4 so we headed across the block to store #6, where all of the video gaming equipment was sold. I found both the Vita and PS3 versions, which were about 40% cheaper (not including shipping) than any importer I found in the U.S. While the game voices and text are Japanese, the nature of the game means that knowledge of the language isn’t essential so I’m looking forward to trying it out at home. 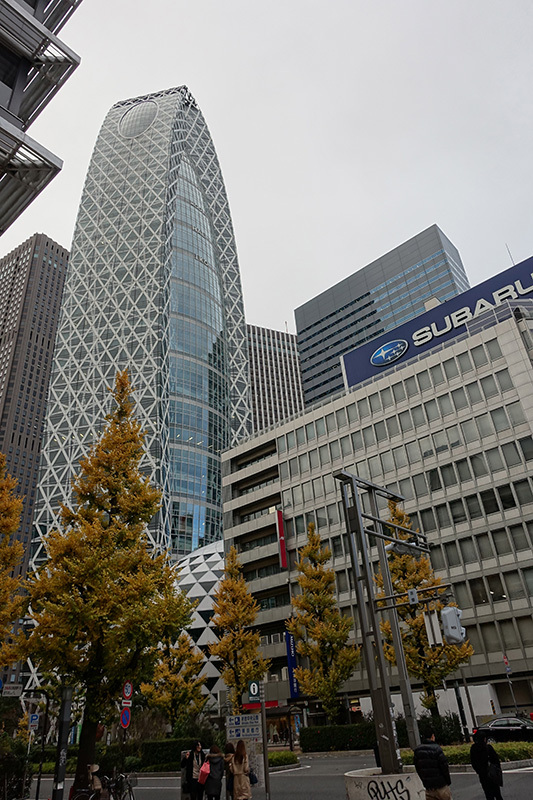 With purchases in hand and a desire to go back to Harajuku to visit the Apple store, we said good-bye to Shinjuku. On the way to the station we passed by the old Subaru (Fuji Heavy Industries) building where the company was headquartered until a few months ago when they moved to their new building a few train stops away in Ebisu. I have a Subaru and used to work for Prodrive, the British firm that ran the Subaru World Rally team, so it was cool to see. 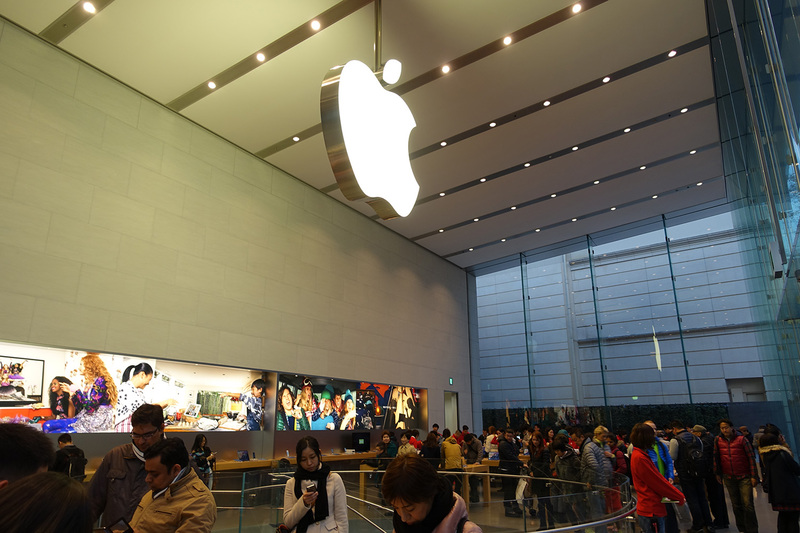 We visited the Apple store in Shibuya when we stayed there at the beginning of our time in Japan and we found that there and in Harajuku the staff was very helpful and most spoke English well. There were also plenty of gaijin working there so if you visit and need help with your Apple products you should have no problem finding someone who speaks English. Cold and tired from our big day of shopping, we caught the metro back to Roppongi. Before heading home, we stopped at the Roppongi Hills branch of Tetsu Tsukemen (good article at the Tokyo Times) for dinner. 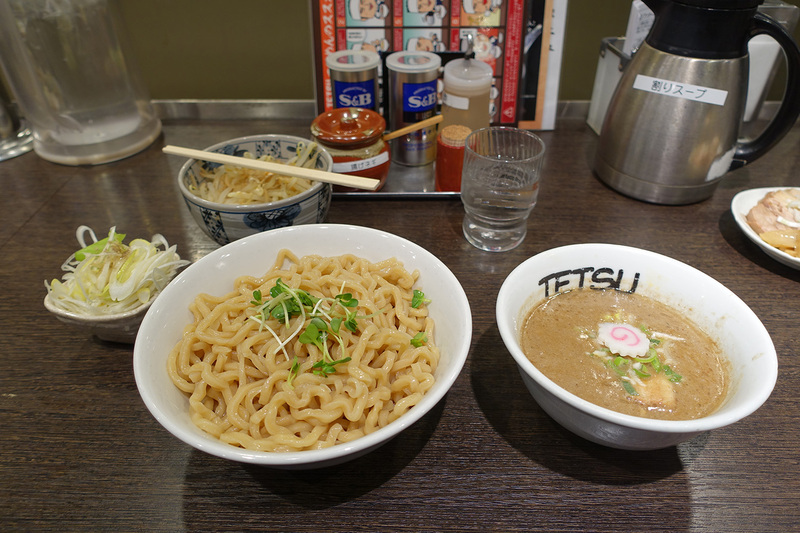 Tsukemen is similar to Ramen except that your noodles and broth are served in separate bowls and you dip your noodles into the broth before eating them. One of my friends had wanted to try this since before we arrived so it was great that we were able to fit it in on our last day. 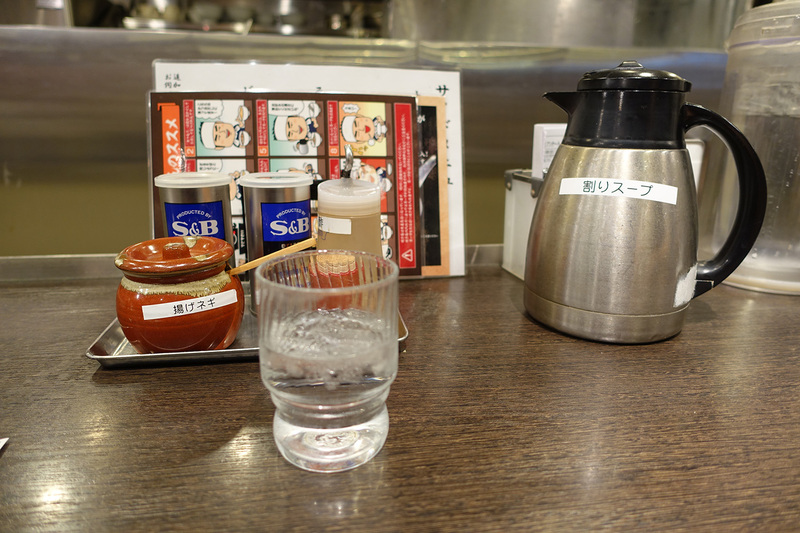 Here is our view at the bar, complete with a jug of hot broth to top up our bowls, condiments to season the broth to our liking, and a helpful instruction card illustrating how to eat tsukemen. Here is what my meal looked like before I dug in. The broth includes some sliced pork used for flavor, which I didn’t mind. I’m a vegetarian because I do not like the texture of meat; however, I don’t mind the flavor of it so I had no problem with the broth. If you’re a strict vegetarian, you might have some trouble finding a ramen or tsukemen place that serves a real vegetarian version as pork is often used as the stock base. Just FYI. When I was about half-way finished with my noodles, I filled up my broth bowl with the soup in the decanter and then asked for a warm up. An extremely hot stone was then provided to me, which I was instructed to place into my soup. The broth bubbled and sputtered as the stone went in – it was that hot! The stone did its job and warmed the broth right up so I could finish my noodles. I prefer ramen to tsukemen but the tsukemen dinner was still great and it allowed my friend to cross off a big thing on his Japan wish-list. It’s a definite win in my book! With full tummies we headed home through the night. Before we called it a night, though, we saw this. We couldn’t miss it. Yes, there’s a Lamborghini under there…somewhere. 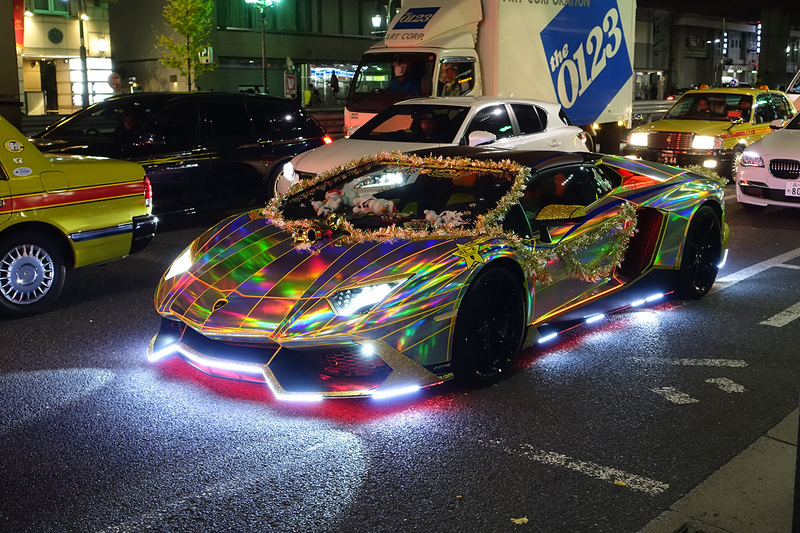 A Lamborghini is a car that shouts, “look at me” but this SCREAMS it. Wow. Just wow. The lights on the thing were flashing and changing colors, too. 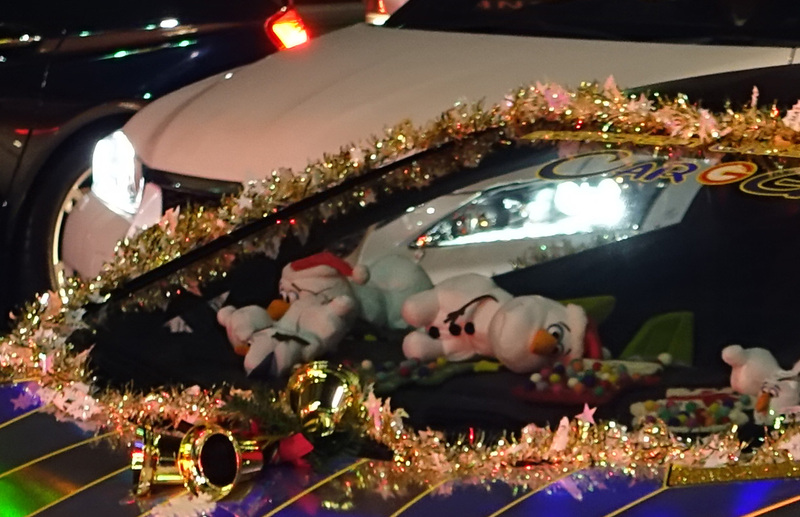 Is it bad to say that the tinsel is a bit tacky (yeah, that is what’s tacky – ha!)? But perhaps it’s Olaf‘s doing. It’s a bit of an exercise in excess and bad taste but, hey, if that’s what floats your boat, why not? And that, ladies and gentleman, concludes our final full day in Japan. There’s more to come for our final day and posts on the loot I acquired and my thoughts on the trip so stay tuned.